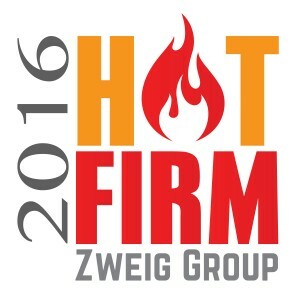 The Zweig Group has named Braun Intertec as a 2016 Best Firm to Work for and a Hot Firm. Both of these awards recognize exceptional firms in the architecture, engineering, planning, and environmental consulting industry. The Best Firms to Work for Award recognizes employers in the architecture, engineering, planning and environmental industries for their practices, policies and people that help create superior work environments that set them apart from their peers. 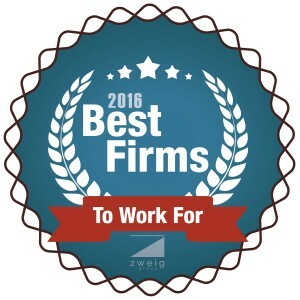 Earlier this spring we asked our employee-owners to participate in “The Zweig Group Best Firm to Work For” survey. Based on their feedback, Braun Intertec placed 46th in the Multidiscipline category. To view the full list for “2016 Best Firms to Work For” click here. Zweig’s Hot Firms list includes the top 100 firms that posted the highest percentage revenue growth and dollar revenue growth over a three-year period compared to the other entrants. This year, Braun Intertec placed 27th on the list, a significant jump from last year’s placement at number 40. To view the “2016 Hot Firm” list click here.